The theme of this week's Mewsic Moves Me blog hop is song titles with the word "shadow." I always joke that Mudpie is my shadow because she loves to follow me around the house wherever I go. I love that she always wants to be with me. My Conway selection of the week was an album cut, never a single, but I love it because it's a prime example of how sultry his voice became in the later years. A bit of trivia about our next "shadowy" song, Shadow of a Doubt by Earl Thomas Conley...it was co-written by The Dukes of Hazzard's Tom Wopat (Luke Duke)! Is your pet your shadow? Crockett are definitely a shadow - sometimes I are too! She thinks mum is hers . MOL! Your shadow is pretty darn cute! I used to have three little shadows but there no longer are little and they no longer live at home. :) Anne Murray's 'Shadow in the Moonlight' is your only song choice that I remember. I figured I would know the Conway song but it escapes my mind. The title sounds familiar, though. Thanks for boogieing with the 4M gang on the dance floor. Have a great week, dearie! 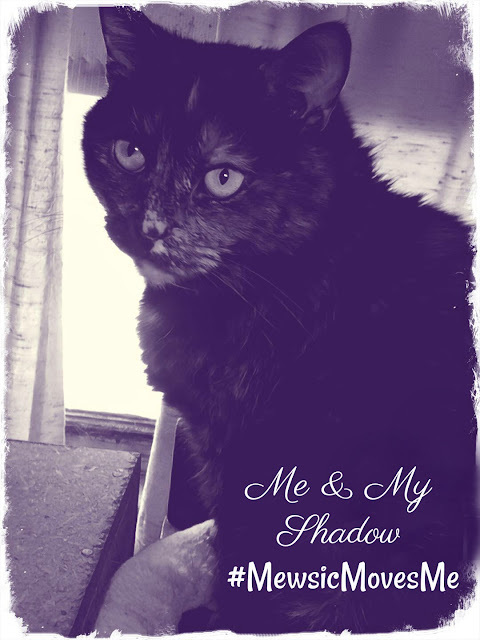 I love having a kitty shadow, too. We love that you have a Mudpie shadow! I knew you would find a Conway Twitty song :) None of my cats seem to shadow me, but my great-niece does when she is here. Very nice! I'm really enjoying the Conley tune. Great songs. Liked them all. Thanks for sharing. Well, thanks for the introduction to Conway Twitty's tune. I'm likin' it for sure! 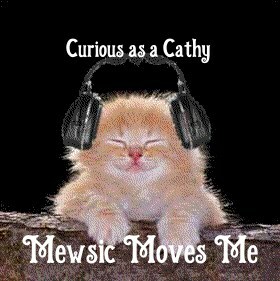 I knew Anne Murray's, but your other that remains a mystery to me... heehe~ Have a great day! Thanks for rockin' with us & have a great week! You sure keep our ears happy with this music! You also helped me learn something new, because I had no idea that Luke Duke was ever a songwriter. Warm wishes!